A café owner in Ho Chi Minh City has spent the last four years handpicking the Arabica beans for each cup of coffee he brews, part of his mission to serve each customer the perfect cup. Nguyen Quang Vinh’s Saigon coffee shop isn’t just any old café. Rather than just walking in and ordering a cup of coffee, customers need to call ahead and make a reservation so that Vinh himself can be on hand to personally serve his customers coffee made with beans he’s personally handpicked. Vinh’s café strictly serves Arabica coffee beans he’s picked in Da Lat, a city located 1,500 meters above the sea level in the Central Highlands region. Getting to the Arabica plants means a long drive down dangerous roads, some just two meters wide, weaving and winding along the lush mountainsides. After snaking through the mountains, the young coffee shop owner makes it to the Arabica bushes and begins handpicking only the ripe beans, occasionally placing some beans in his mouth to enjoy the concentrated taste of the country’s best coffee. "As sweet as sugar," Vinh said after popping a bean in his mouth. 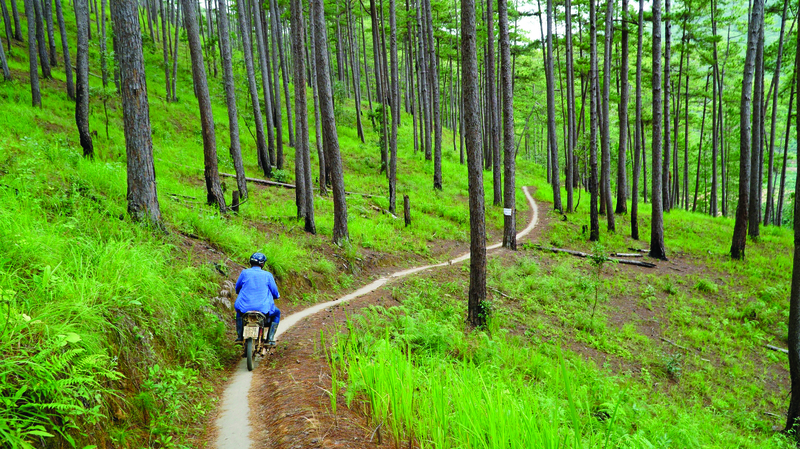 "Da Lat coffee has a special taste because it is grown in a higher region with cold weather and good soil," Vinh explained. As Vinh only picks the ripest and highest quality beans, rather than plucking the whole branch like most farmers do, he is only able to collect a few hundred kilograms per year. 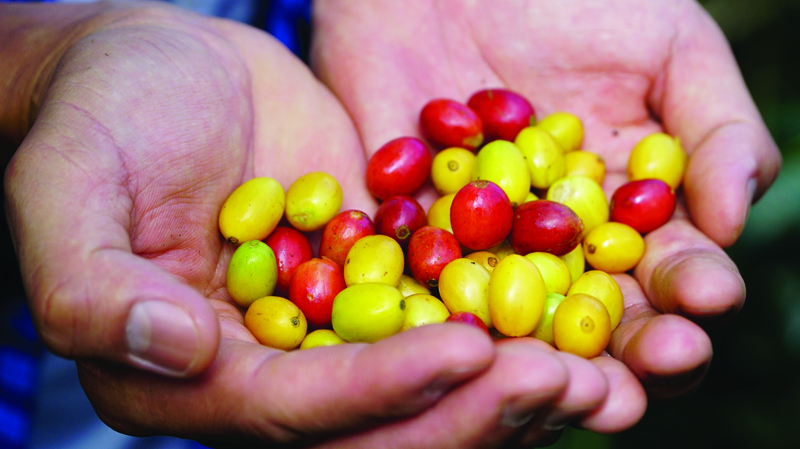 Years ago, Arabica was a popular coffee species to be grown in the Central Highlands thanks to its high price. Now, farmers have begin cutting down on their Arabica crop in favor of Catimor due to the former’s low productivity and inability to withstand droughts. “I want to bring home coffee beans that are truly natural and have not been grown with a single chemical,” Vinh explained. Vinh’s love for coffee first started four years ago when he heard about a few old Arabica bushes that were still alive and growing in Da Lat. He began searching for the bushes and eventually met a local that showed him a few bushes left in his own coffee fields before taking him to a hill full of old Arabica trees with ripe coffee beans. In order to preserve Vietnamese Arabica coffee beans, Vinh bought the land to ensure that the wild Arabica trees would not be cut down and would continue to be grown without the use of pesticides or other chemicals. Since then, he’s made it his life’s mission to preserving these plants and introduce their incredible taste to others. Vinh returned to Ho Chi Minh where he left his stable job to open the one-of-a-kind coffee shop where he could turn his dream into a reality. Unlike most coffee shops, since the customers are required to set up an appointment to enter Vinh’s coffee house, it is rare to see customers casually strolling in and out of the café. Instead, customers are welcomed into a closed-door house with a private space featuring traditional furniture typical Saigonese furniture. In the middle of the room lies a three-year-old Arabica plant surrounded by bird's singing in a space Vinh affectionately calls his "coffee-sharing space". Getting a spot on the café’s guest list isn’t easy. Vinh only serves a maximum of 15 customers per day. Guests who do make the list can choose from coffee and meal sets that see for VND900,000 ($36) to VND1,400,000 ($61). The limited menu consists only of two options -- either spaghetti or Vietnamese traditional beef noodles, and French pastry madeleines for dessert, all of which are prepared by Vinh. Only after eating are the customers allowed to indulge themselves in the unique Espresso cups – the highlight of the visit. “I opened this shop mainly for myself and just want to share it with others,” Vinh said. Every customer is asked to drink their brown black cup of Espresso within 15 seconds because if left longer, it loses its unique taste, according to the owner. “Coffee’s aftertaste is very important so I do not let my customers drink water afterwards,” Vinh explained, adding that the lingering sweetness of coffee is crucial to enjoying the beverage. As the customers enjoy the aftertaste of coffee, they are led into Vinh’s world, where he explains how he himself makes each and every cup of coffee and why he left his stable job to dedicate himself to wild Arabica coffee bushes. Many are surprised to know that not only does the young businessman brew the coffee himself, but he also collects the coffee beans, removes their shells, washings and dries them, and brew the coffee. “When I roast the beans, I have to pay close attention to make sure they do not burn and still attain a dark brown color. I also need to listen for a certain popping sound, which guarantees they are the perfect quality,” Vinh said. 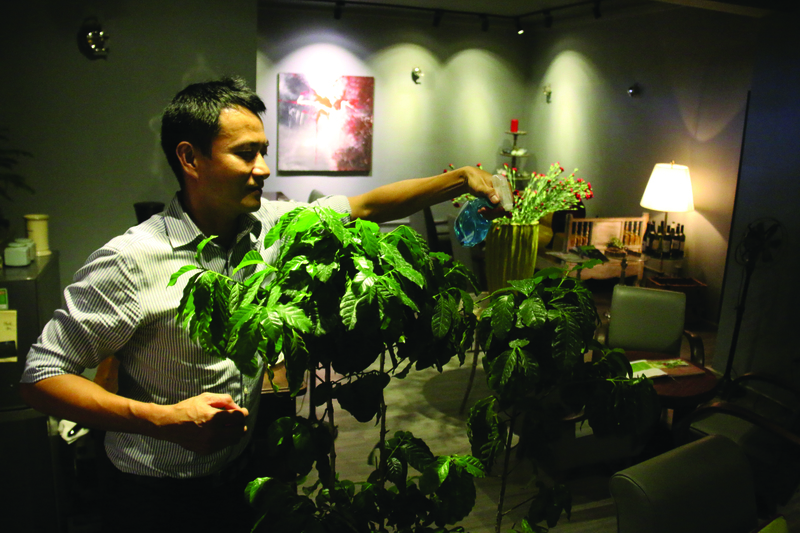 Quang Vinh takes care of the old Arabica coffee plant that he keeps in his coffee shop. Photo: Ngoc Hien / Tuoi Tre. The space, quality, and the owner have kept a steady stream of customers coming back for more. Besides customers who are knowledgeable and share the same interest in coffee as he does, Vinh has also welcomes many foreign customers who come looking for an original cup of coffee from the world’s top coffee exporter. 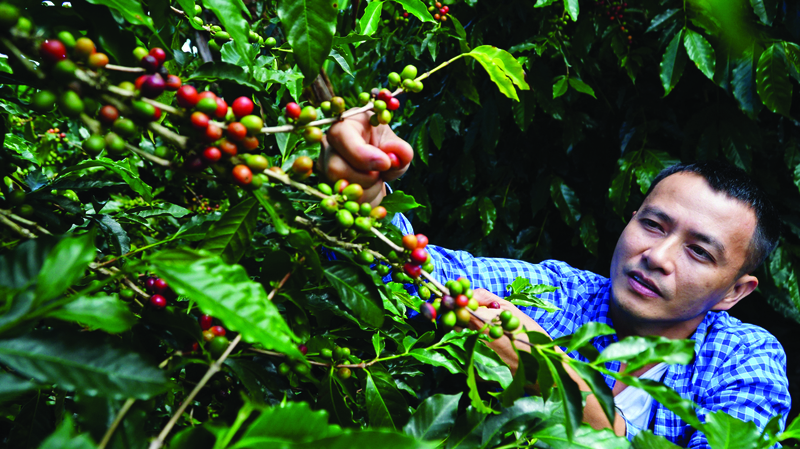 Vinh’s good understanding of coffee, the English skills he attained throughout his years of studying abroad, and his experience in tasting coffee in different parts of the world has enabled him to appeal to customers from any country. Hence, it comes as no surprise that Vinh’s service can be found with top reviews on many international traveling websites. France, a country known for its coffee culture, is credited with introducing coffee to Vietnam in the 19th century, but not even France has as many coffee shops as Vietnam. Even Brazil, the world’s number one coffee exporter has fewer coffee shops than Vietnam, which ranks second on the list of coffee exporters.